Description: The beautiful border fabric inspired the colors of this classic design. 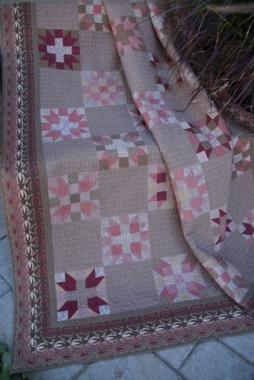 The Riverbanks fabric by Jeanne Horton for Windham fabrics was used throughout this quilt. This quilt can be enjoyed during the holiday season or any time of the year.